Chatham Rock Phosphate expects to rejoin the permitting fray surrounding seabed mining, with expectations it will make a second application to the Environmental Protection Authority (EPA) next year. Seabed mining is back on the mining agenda, and environmentalists’ watchlists, after Trans Tasman Resources (TTR) reapplied a fortnight ago for its environmental permit to take ironsand from Taranaki’s sea floor, at depths of up to 40m. 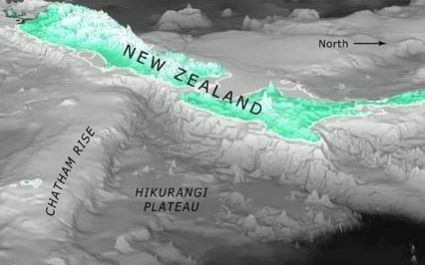 Environmental group Kiwis Against Seabed Mining has vowed to again fight the proposal, having mobilised thousands of people to protest during the first application. TTR had spent $66million in research and development and Chatham Rock spent more than $30million, but both had their first applications turned down by the EPA. Chatham Rock wants to suction up phosphate nodules from the sea floor at depths up to 450m on the top of the Chatham Rise, taking 1.5million tonnes a year. Mr Falconer remained adamant the Chatham Rise phosphate was a “strategic” for New Zealand’s economy, in displacing imported Moroccan phosphate and potentially as an export earner. Although separate projects, Mr Falconer said Chatham had been working with TTR and would continue to do so. “We’ll wait and see how TTR gets on on,” Mr Falconer said of its application, which is yet to be formally accepted by the EPA, and will then be publicly notified. When asked in question time, Mr Falconer said Chatham intended to reapply to the EPA in mid-2017. “We have the capital to see us through and meet our commitments,” he said. In July, a share purchase plan for Chatham Rock was oversubscribed and it raised $616,000, plus issued 8.74million shares to qualified investors, reaping $52,500 more. Mr Falconer noted that while “finance is hard to get” at present, he was still adamant “this is still a doable project,” and could be operational by 2020. In an earlier presentation at the conference, the EPA warned applicants in general that simply filing volumes of work and research was not adequate, and parties had to do more to prove how mitigation procedures, and outcomes, would work. There is a question of the plume created by seabed mining on the sea floor, and the plume on the surface if spoil was tipped off the ship. Chatham’s design work to date is not to release tailings from a ship, but release them 10m above the sea floor. The discovery of beds of coral on the seabed around the Chatham Rise had raised concerns. “We could spend $2million to $3million on just looking at coral distribution,” Mr Falconer said.